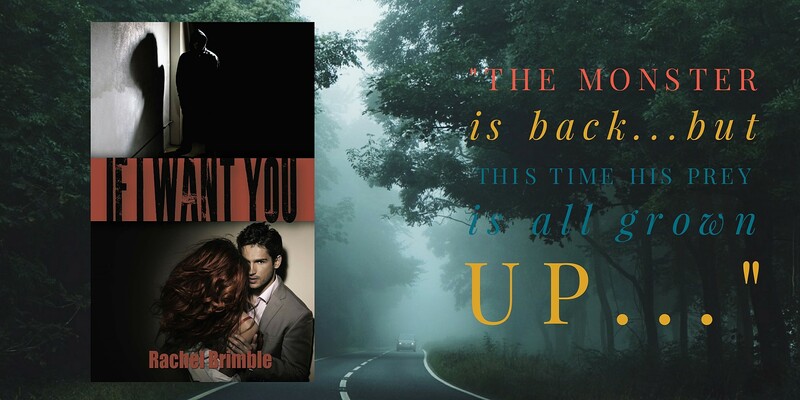 A FABULOUS New Romantic Suspense, IF I WANT YOU by Rachel Brimble ~ PLUS a GIVEAWAY!! Hi Rachel…Please tell us a little about yourself, where are you from? Where do you live now? Family? Pets? Thanks for having me here today, Alicia! I live near the beautiful city of Bath, England with my husband and two teenage daughters…and my beloved chocolate Labrador, Tyler. I’m originally from Bristol, but we moved here in 2001 and haven’t wanted to move anywhere else since. When I’m not writing, I’d like to read, knit and watch far too much TV! Where did you get the idea for IF I WANT YOU? I love writing romantic suspense and the idea for this story originated from a news bulletin where a missing little girl had been safely reunited with her parents. As a mother, the thought of any of my kids being taken is terrifying and the ‘what if?’ questions started in my head. Very soon, I knew I had to write about a child abduction that is closely linked to the heroine’s past. The rest followed quickly and I loved writing this book. However, as with all my books, the difficulty comes around the midway mark. 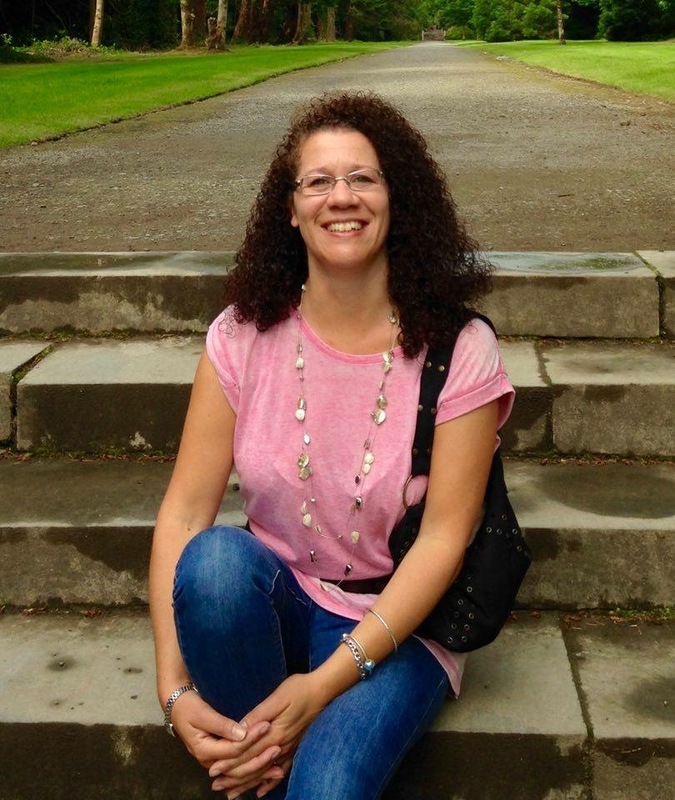 I battle to overcome the ‘sagging middle’ with each book I write. So far, the reviews have been great so, fingers crossed, I hope I managed to write successfully through it with IF I WANT YOU! Pretty much anything by Nora Roberts! I LOVE her books and have yet to come across one that I haven’t enjoyed. My favourite single titles of hers at Montana Sky and The Witness. My favourite series are the Chesapeake quartet and the Bride quartet…although I have many, many more books of Nora’s to read! This is an easy question for me as I start each book trawling the internet for pictures of my hero, heroine and villain. The actor who would play Mark Bolton is UK actor, Harry Tressler and the heroine would be played by Darby Stanchfield. I’d love to write a historical crime novel one day and possibly a young adult. I love reading historical crime and would probably choose the Victorian era because of the darkness that time seems to evoke. The desire to write young adult comes from my gratitude for books from Judy Blume which gave me insight into questions I was afraid to ask. I like that a writer has the power to advise kids through their words. This is basically saying stop moaning and complaining about your life and do something to change it. I love the idea that whatever is happening in our lives is really under our own control. If we don’t like something or the way we’re being treated, we need to dig deep and find the courage to change it. She loved deeply. She lived fully. She wrote wonderfully. What is the toughest criticism given to you as an author? What has been the best compliment? Worst: “Give up writing. You’ll never be published.” This was from a contest judge back in 2005. Having had nineteen books published today, I would really like to thank that judge now. It was just what I need to hear to stop me from giving up! Best: “I stayed up at 4am to finish reading your book. So damn good!” What else does an author like to hear more than that? My friends and family are so proud of my work and the number of books I’ve managed to write around a young family. My daughters are 18 and 16 now, but I started writing novels when they were 6 and 4. It was especially hard when they were young, but writing was my compulsion and salvation. Nora Roberts – she hosted an afternoon tea and book signing at the beautiful Ashford Castle in Ireland. My husband surprised me with tickets and an overnight stay at the hotel. She was so lovely at the signing and said hello to me again during the evening when she was relaxing with her family. The entire two days were amazing! Excellent interview, Rachel. I’m with you on the ‘watching too much tv’ but I LOVE it! Wow, what an amazing surprise from your husband. I bet you had a blast! What is your favourite book series (whatever the genre) and its author? One randomly drawn commenter will win a $15 Amazon gift certificate. Congrats on your release! It’s hard to name one favorite book series. One of my favorites is Kim Harrison’s, The Hollows. Lovely post, Rachel, and congratulations on the new release! As for favorite series, I have to say I love Loretta Chase’s Carsington Brothers. Joanna Bourne’s spy series is a close second. You’ve taken a harrowing concept and run with it. Wonderful. Wishing you much success. I love your epitaph. What author wouldn’t want that said about her. Congrats on the new release. Sounds intriguing but hard to read as a mother. Congrats on your new release and I have to say, your tag line is fantastic! Your new book sounds intriguing. Congratulations on the release. I’ve read and enjoyed many series, but at the moment, with any particular one that’s my favorite. I wish you much success! Great interview and excerpt. Best of luck with your new release! It does sound fabulous, Rachel! (Universal fear of any parent, for sure.) I also am a huge Nora fan (how cool that you got to meet her! ), and I also love her IN DEATH series written as J.D.Robb. And I also share your love of OUTLANDER (although I’d describe myself as addicted, both books and TV series). Congratulations on the new release! Loved the post! My favorite series is the Slightly Series by Mary Balogh. I loved, loved, loved the final book in it. Good luck to you! Enjoyable interview. I love hearing about life in the UK–my favorite “across the pond” place to visit. Your latest novel sounds positively terrifying as I find anything involving mistreatment of children to trip my greatest fears. I think Lucy Maude Montgomery’s ANNE OF GREEN GABLES series was and still is my all time favorite. I read them as a kid and taught them to middle schoolers. Best wishes! Best of luck with your new release, Rachel! Apologies for stopping by so late, but as we all know, better late than never!! Great excerpt and wishing you tons of luck with your release.